A communications piece for an innovative medical software company. Patient home monitoring made simple and effective. HealthInterlink® is an innovative medical software company specializing in remote patient monitoring. Their mission is to provide the most flexible, cost-effective solutions for the collection and delivery of remote health information. They developed Beacon™, a flexible and intuitive software application that monitors, communicates and manages patients in their homes easily and effectively. HealthInterlink needed a promotional piece for their healthcare software, a smart and innovative solution for remote patient monitoring. The home healthcare market and more specifically, the remote patient monitoring market, has been growing exponentially over the past few years. Mostly dominated by large corporations like GE, Honeywell and Phillips, HealthInterlink needed a communications piece that could stand up to the competition. A piece that focused the differences that HealthInterlink provides. 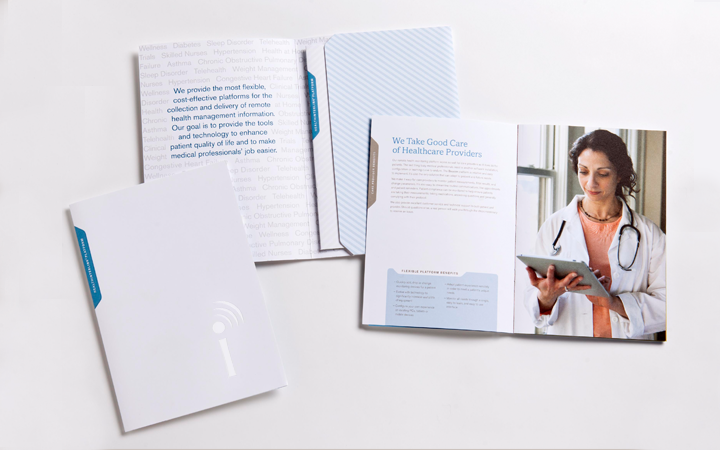 To do this, a multi-faceted brochure was created introducing HealthInterlink’s patient monitoring technology to healthcare organizations large and small. In addition, the brochure was needed at the many industry trade shows they attended annually. We started with defining the differences that help separate HealthInterlink from their competitors. Then we organized those messages into sections, speaking directly to each of their target audiences. 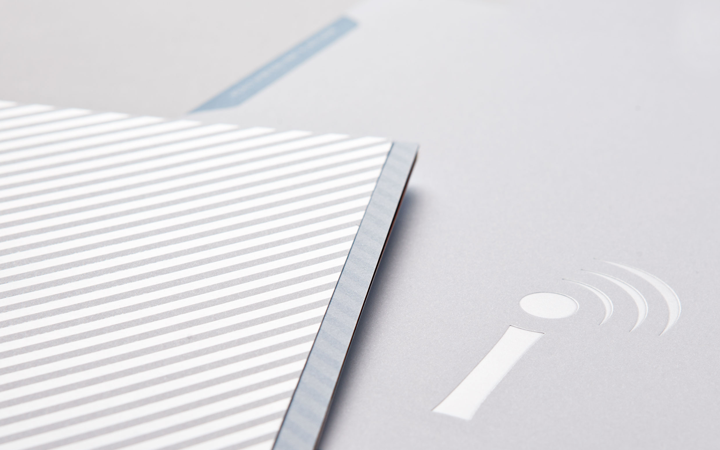 For all those details that changed as quickly as the technology evolved—easy to update, informational sheets were created customizing the message even further. As a final touch, we used a clear UV coating to draw attention to their trademark on the cover. The end result was an impactful piece that is as unique as the remote patient monitoring software it markets.